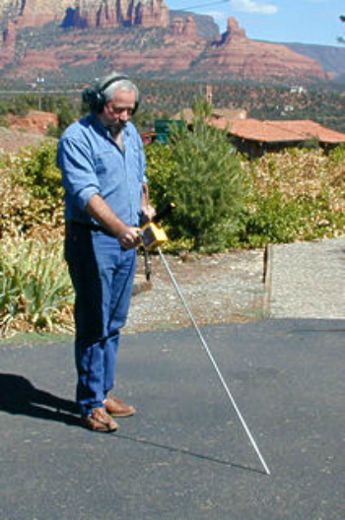 Become your own water leak locator by purchasing the Leak Pro® Probe. Get the probe alone or as a kit with the Air Anywhere Kit, Helium Locator, and the Probe. Call us for details. The Leak Pro® probe will identify the line and can detect the water leak under the concrete and swimming pools. 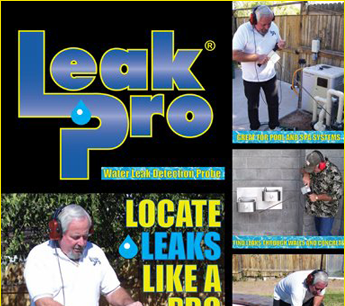 Leak Pro® has been providing reliable slab leak and swimming pool leak detection equipment for 40 years. Our product can help you find underground water leaks quickly and easily! Will ship overnight if needed. The Leak Pro® SideKick is excellent for locating leaks in bathrooms, under sinks, and under floors. Works like the Probe to get in to those small spots. Will ship overnight if needed. Available with and without headphones. The Air Anywhere Kit Call for more information. The Air Anywhere Kit can be controlled via remote from up to 200 feet away. 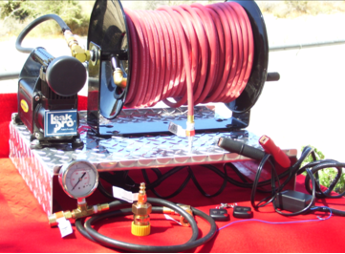 The 12 V pump can be stored in your vehicle and includes 150 feet of special air hose. The Magic Wand Helium Locator comes with a helium flow gauge and special adapters for water lines. For a limited time only, you can purchase these three items for the cost of one underground water leak detector! Contact us today for more details on this offer or to discuss our rental option. 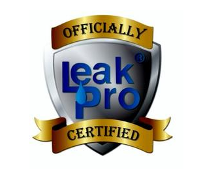 Purchasing these three Leak Pro® items will put you in the leak locating business instantly! Become the owner of your own leak detection business and earn over $200 an hour. Meanwhile, existing businesses that add these three tools will start to bring in $1,000 or more a week. For a limited time only, you can purchase these three items for one low price. Contact us today for more details on this offer. 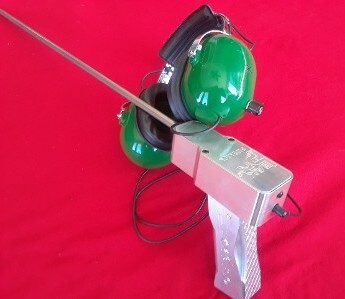 with a special stainless rod. It is very simple to use. 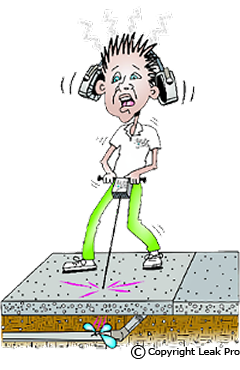 Simply put the headphones on, plug them into the phone jack on the Leak Pro® probe, and you're ready for action! The Leak Pro® Probe is guaranteed for life, is the preferred plumbing tool, and made just for plumbers and rugged use. 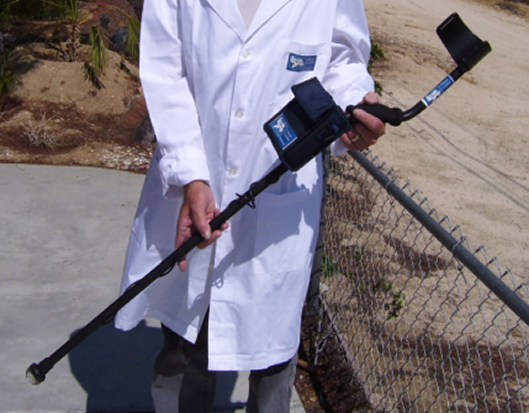 Insurance companies recognize anyone owning a Leak Pro® Probe as an experienced Leak Locator. This gives you the opportunity of making an extra $200 an hour or more. This plumbing tool should be on every plumbing truck! If you can spend three days and $6,000, we can train you for slab leak and swimming pool leak locating at our 5 acre site near Palm Springs, California. Please visit our training page for more information on the complete training package. If you are unsure of our training, please visit our blog page that has testimonials from real people who have gone through our training and who use our equipment to be succesful. This price includes training, equipment, and Leak Pro® certification.